Just few days before we reported that LG G4 is going for sale in India on 9th June. 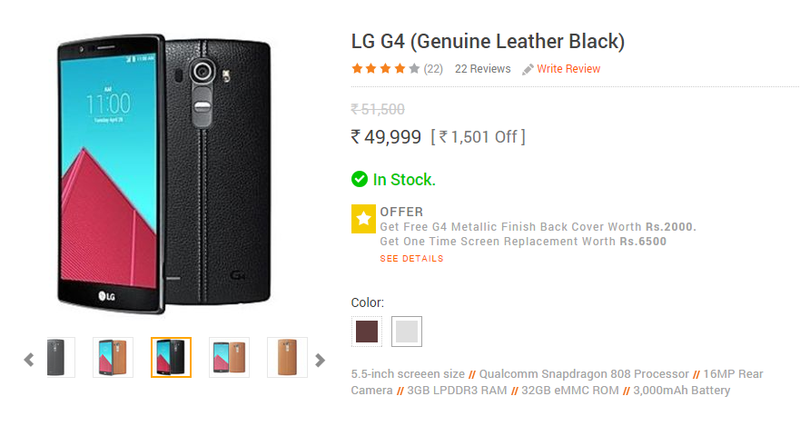 But it seems that LG G4 has gone for sale before official announcement in Infibeam for INR 50,000 with a discount of 1501. Infibeam has started selling LG G4 before others. 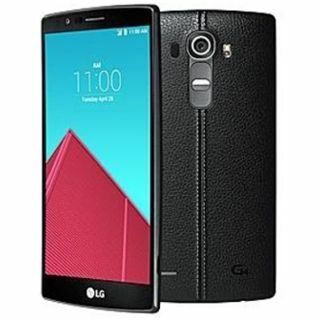 The device is available in most demanded LG G4 leather case in Black and Orange color and with some offers for INR 2000 worth metallic finish back cover and one time free screen replacement worth INR 6,500 for free. 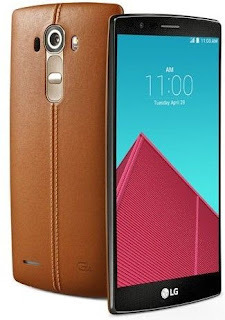 The LG G4 has a massive 5.5-inch QHD Display. It runs android v,5.1 (Lollipop) skinned on top with LG's Optimus UX 4.0 UI. It is powered by 1.8GHz Hexa-core Qualcomm Snapdragon 808 processor. It has a 32GB internal memory with 3GB RAM, expandable memory via microSD. It features 16MP rear facing camera and a 8MP front facing camera. It packs a 3000mAh battery.